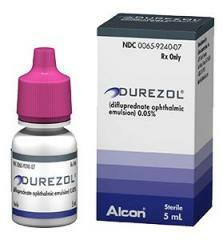 Possible Uses of Eskalith: This medicine is an antimanic agent used to treat manic-depression. It may also be used to treat other conditions as determined by your doctor. 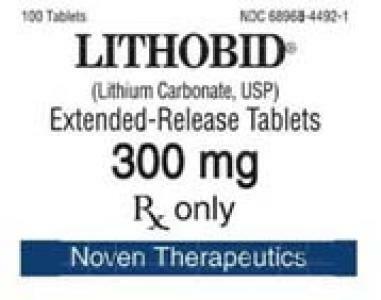 Before using Eskalith: WARNING: It is very important to have the right amount of lithium in your body because too much of it may lead to unwanted effects such as nausea, diarrhea, shaking of the hands, dizziness, twitching, seizures, slurred speech, confusion, or increased urination. Notify your doctor if these effects occur. The difference between the correct amount of lithium and too much, is small. Therefore, it is important you be monitored closely. Some medicines or medical conditions may interact with this medicine. INFORM YOUR DOCTOR OR PHARMACIST of all prescription and over-the-counter medicine that you are taking. DO NOT TAKE THIS MEDICINE if you are also taking astemizole, cisapride, or terfenadine. ADDITIONAL MONITORING OF YOUR DOSE OR CONDITION may be needed if you are taking "water pills" (diuretics), ACE inhibitors, carbamazepine, fluoxetine, fluvoxamine, paroxetine, sertraline, risperidone, macrolide antibiotics, nonsteroidal anti-inflammatory drugs (NSAIDs), theophylline, urea, urinary alkalinizers, or medicine for behavioral, emotional, or mood changes. Inform your doctor of any other medical conditions, allergies, pregnancy, or breast-feeding. Contact your doctor or pharmacist if you have any questions or concerns about using this medicine. How to take Eskalith: Follow the directions for using this medicine provided by your doctor. SWALLOW WHOLE. Do not crush or chew before swallowing. TAKE THIS MEDICINE with food or milk. DRINKING EXTRA FLUIDS (8 to 12 glasses daily of water or other liquid) while you are taking this medicine is recommended. Check with your doctor or nurse for instructions. DO NOT CHANGE THE AMOUNT OF SALT in your diet unless your doctor tells you to do so. STORE THIS MEDICINE at room temperature, in a tightly-closed container, away from heat and light. IF YOU MISS A DOSE OF THIS MEDICINE, take it as soon as possible. If it is almost time for your next dose, skip the missed dose and go back to your regular dosing schedule. Do not take 2 doses at once. Precautions When Using Eskalith: SEVERAL DAYS TO WEEKS may pass before you feel the full benefit of this medicine. Do not stop taking this medicine without checking with your doctor. KEEP ALL DOCTOR AND LABORATORY APPOINTMENTS while you are using this medicine. USING THIS MEDICINE ALONE, WITH OTHER MEDICINES, OR WITH ALCOHOL may lessen your ability to drive or to perform other potentially dangerous tasks. Do not drive, operate machinery, or do anything else that could be dangerous until you know how you react to this medicine. AVOID LARGE AMOUNTS OF caffeine-containing foods and beverages, such as coffee, tea, cocoa, cola drinks, and chocolate. Avoid excessive sweating caused by hot weather, hot baths, saunas, or exercising. BEFORE YOU BEGIN TAKING ANY NEW MEDICINE, either prescription or over-the-counter, check with your doctor or pharmacist. This includes medicines that contain ibuprofen or naproxen. FOR WOMEN: THIS MEDICINE HAS BEEN SHOWN TO CAUSE HARM to the human fetus. IF YOU PLAN ON BECOMING PREGNANT, discuss with your doctor the benefits and risks of using this medicine during pregnancy. 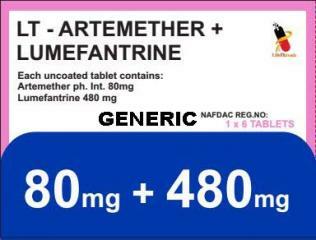 THIS MEDICINE IS EXCRETED IN BREAST MILK. DO NOT BREAST-FEED while taking this medicine. Side Effects of Eskalith: SIDE EFFECTS, that may go away during treatment, include mild thirst, frequent urination, drowsiness, fine hand tremor, or mild nausea. If they continue or are bothersome, check with your doctor. CHECK WITH YOUR DOCTOR AS SOON AS POSSIBLE if you experience diarrhea, vomiting, unsteadiness, difficulty walking, or unusual muscle weakness. If you notice other effects not listed above, contact your doctor, nurse, or pharmacist. Overdose of Eskalith: If overdose is suspected, contact your local poison control center or emergency room immediately. Symptoms of overdose may include diarrhea, vomiting, ringing in the ears, blurred vision, lack of coordination, unusual drowsiness, seizures, tremor, and loss of consciousness. Other Information of Eskalith: Check with your doctor before restricting your salt intake. AFTER EXERCISING, OR IF YOU HAVE A FEVER, eat salty foods to replace sodium lost through sweating. DO NOT SHARE THIS MEDICINE with others for whom it was not prescribed. DO NOT USE THIS MEDICINE for other health conditions. KEEP THIS MEDICINE out of the reach of children. IF USING THIS MEDICINE FOR AN EXTENDED PERIOD OF TIME, obtain refills before your supply runs out.